Beijing, China (FN), Jan. 23 – Prime Minister Hun Sen and senior delegation of the Royal Government of Cambodia paid a courtesy call and discussed with Wang Yang, Chairman of the Chinese People's Political Consultative Conference. 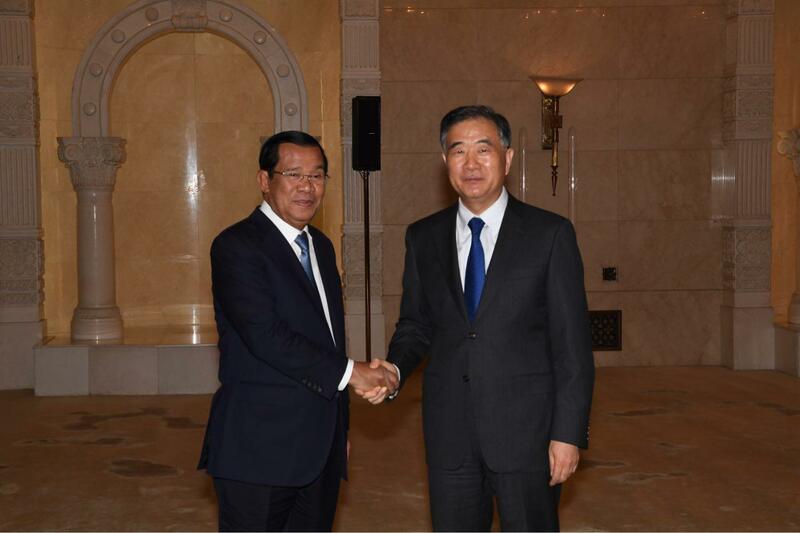 In the meeting held at the Great Hall of the People, H.E Wang warmly welcomed Prime Minister Hun Sen, stating that the visit promotes Khmer-Sino relations based on mutual respect and interests. 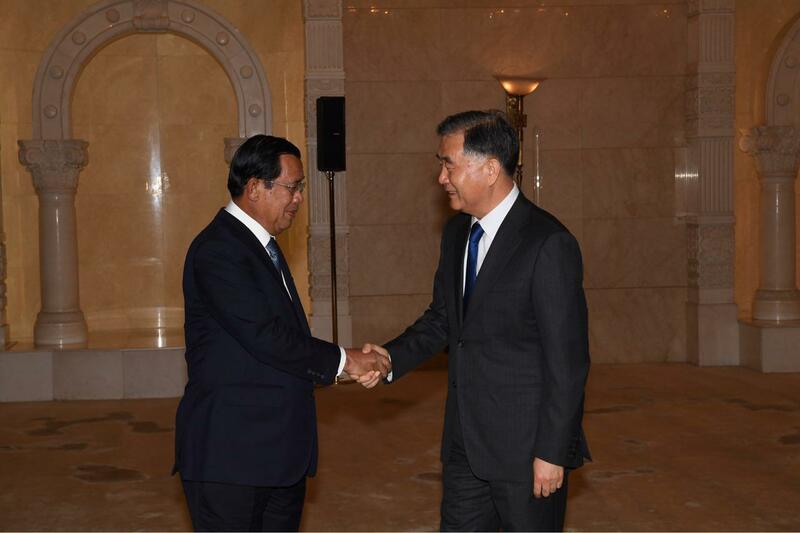 H.E Wang expressed his congratulations to Premier Hun Sen and the Cambodian People's Party over the landslide victory of the general election in July, and the reappointment as the Prime Minister in the sixth mandate government. Prime Minister Hun Sen said that the official diplomatic relations between the two countries were established on 19 July 1958, three years after King Father Norodom Sihanouk met with Chinese Prime Minister Zhou Enlai in Bandung, Indonesia during a non-aligned movement conference in April 1955. Back then, despite the unfavorable political situation in Cambodia, the kingdom still supported China to become the permanent member of United Nations Security Council. As a result, the bilateral ties have been constantly developed and elevated to the Comprehensive Strategic Partnership of Cooperation in 2010. 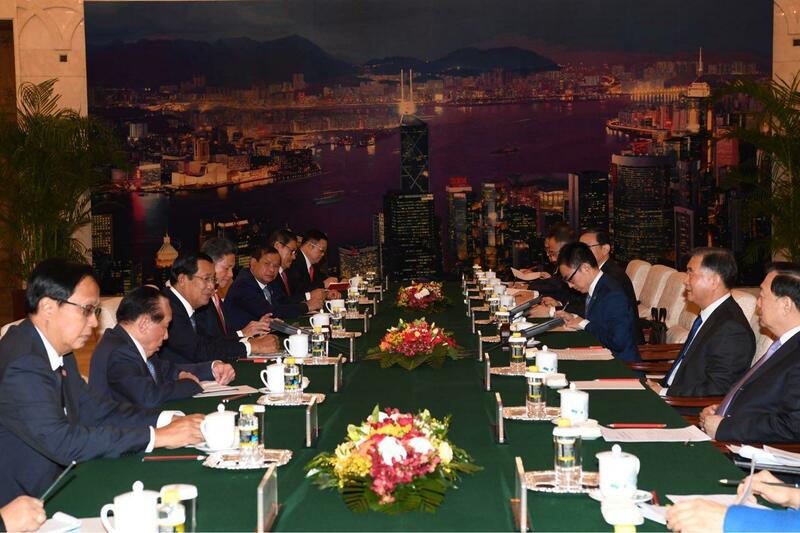 Premier Hun Sen underlined that Cambodia-China relations have grown noticeably on political, economic, and social sectors as reflected by all-level exchanges of visits, trade, investment, tourism, and people-to-people; and hoped that China-Cambodia comprehensive strategic partnership grow stronger, particularly leading to the Cambodia-China free trade agreement. 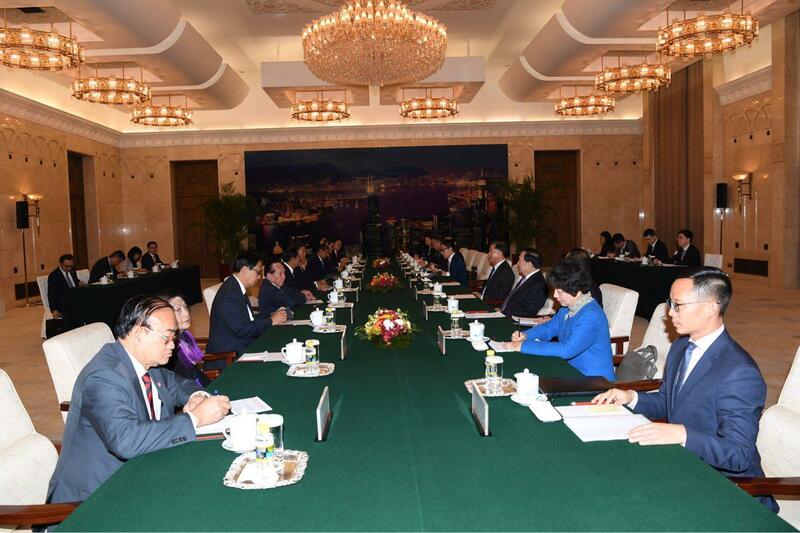 He requested the Chinese President to encourage more Chinese investors to come Cambodia, particularly build more factories; he added that the investment projects under the belt and road initiative are aligned with the Rectangular Strategy Phase IV of the Royal Government of Cambodia, and that some projects can also be financed by the Bank of China. Prime Minister thanked China for supporting Cambodia’s election and other supports to the Royal Government in strengthening the kingdom’s economic independence, peace, political stability, and security. He expressed gratitude to China for supporting Cambodia’s temple conservation project and providing scholarship to develop Cambodian human resources, particularly thanked China’s commitment to import Cambodian rice and other products by doubling the quota, to be specific the 200,000 tons of rice in 2018 to 400,000 tons amid the trade threats from the EU.